Spread the word! There is a fun opportunity for girls (grades 6-12) to learn traditional Girl Scout songs and the commemorative 100th Anniversary Song for performance at the 100th Anniversary celebration! Girls will be on stage twice and will sing with the Sacramento Women’s Chorus. In order to participate, Girls are invited to attend two Saturday workshops led by members of the Sacramento Women’s Chorus. Enthusiasm is all that is needed to participate…no need to have a terrific voice or to read music. Learning will be fun…especially with a room full of singers. Sign up now! A special note to Leaders: If you sing in the car or the shower and have a tune running in your head every now and then, we encourage you to participate in these workshops also, with or without girls from your troop. Sacramento Women’s Chorus members have fond memories of their Girl Scout days and wish to spread the fun of singing to you and your troop! Your enthusiasm is all that is needed to learn some tips and techniques for teaching and leading songs– no need for a terrific voice or musical experience. This will be a fun and informal time. Please consider joining us. 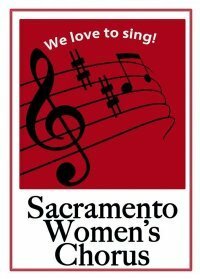 Established in 1987, the Sacramento Women’s Chorus is a non-profit group of diverse women who are building friendships and community through our love of music, dedication to musical excellence, and commitment to performing music which reflects the lives of all women. We perform on behalf of all women, the environment, peace, social justice, tolerance, LGBTI equality, and the celebration of diversity.